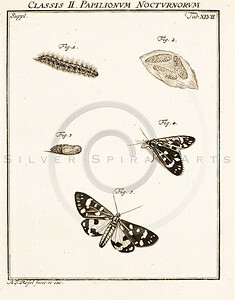 Vintage Illustration of Insects from the American Edition of the British Encyclopedia, 1817. 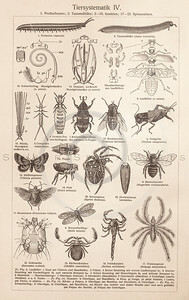 Antique digital download of old print - insects, bugs, spider, fly, ants, encyclopedia, encyclopedic. The natural age-toning, paper stains, and antique printing imperfections are preserved in this 1800s stock image. 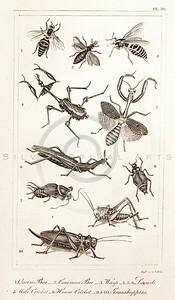 Vintage Illustration of Bees, Wasps, Grasshopper, Locust, and Crickets from the American Edition of the British Encyclopedia, 1817. 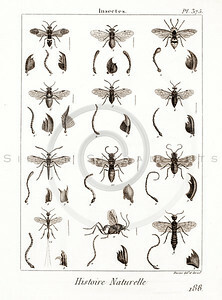 Antique digital download of old print - bees, wasps, grasshoppers, locust, cricket, crickets, bee, insects, animals, nature, encyclopedia, encyclopedic. The natural age-toning, paper stains, and antique printing imperfections are preserved in this 1800s stock image. 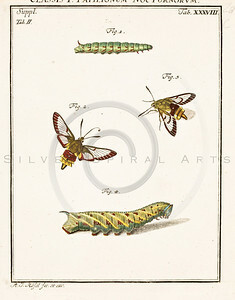 Vintage Illustration of Caterpillars and Moths from the American Edition of the British Encyclopedia, 1817. 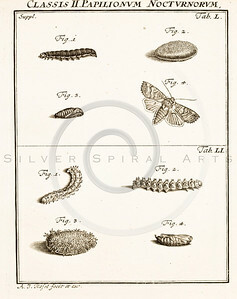 Antique digital download of old print - caterpillar, moth, moths, insects, bugs, animals, nature, encyclopedia, encyclopedic. The natural age-toning, paper stains, and antique printing imperfections are preserved in this 1800s stock image. 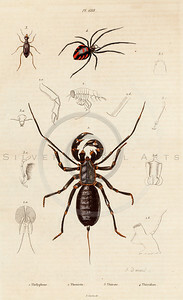 Vintage Illustration of Flea, Spider, Tarantula, Scorpion, Centipede, and Millipede from the American Edition of the British Encyclopedia, 1817. 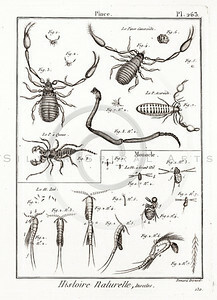 Antique digital download of old print - flea, spider, tarantula, scorpion, centipede, millipede, encyclopedia, insect, bugs, animals, encyclopedic. The natural age-toning, paper stains, and antique printing imperfections are preserved in this 1800s stock image. 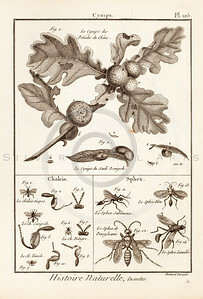 Vintage 1700s Sepia Insect Illustration from HISTOIRE NATURELLE by De Seve. The natural patina, age-toning, imperfections, and old paper antiquing of this vintage 18th century illustration are preserved in this image. 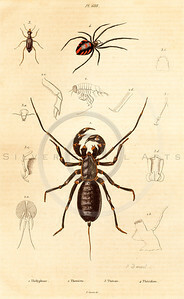 Vintage 1700s Sepia Insect Illustration of Spiders from HISTOIRE NATURELLE by De Seve. The natural patina, age-toning, imperfections, and old paper antiquing of this vintage 18th century illustration are preserved in this image. 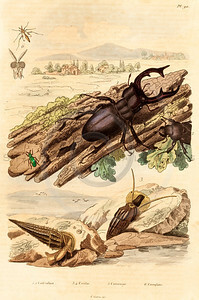 Vintage Illustration of Earwig, Glow Worm, and Beetles from the American Edition of the British Encyclopedia, 1817. 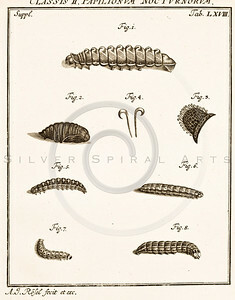 Antique digital download of old print - animal, insect, bug, earwig, glow worm, worm, beetle, nature, encyclopedia, encyclopedic. The natural age-toning, paper stains, and antique printing imperfections are preserved in this 1800s stock image. 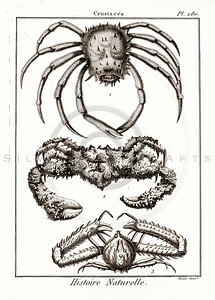 Vintage 1700s Sepia Illustration of Crustaceans from HISTOIRE NATURELLE by De Seve. The natural patina, age-toning, imperfections, and old paper antiquing of this vintage 18th century illustration are preserved in this image. 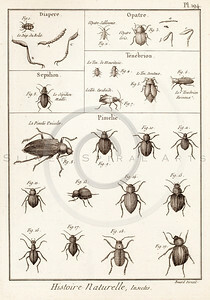 Vintage Illustration of Beetles and Insects from Histoire Naturelle by Benard Direxit, 1800. 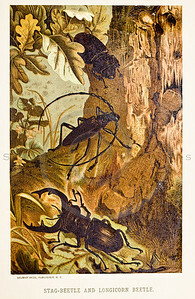 Antique digital download of old print - beetle, insects, bugs, natural, nature, insect, bug, animal, nature, encyclopedia, encyclopedic. The natural age-toning, paper stains, and antique printing imperfections are preserved in this 1800s stock image. 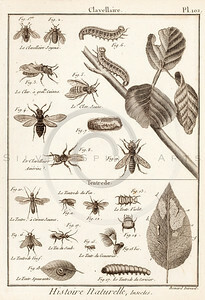 Vintage Illustration of Wasps and Insects from Histoire Naturelle by Benard Direxit, 1800. 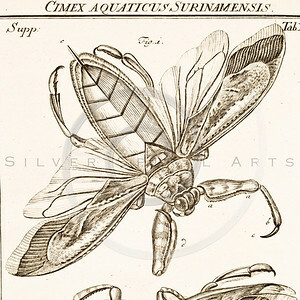 Antique digital download of old print - wasp, bugs, wasps, natural, nature, insect, bug, animal, nature, encyclopedia, encyclopedic. The natural age-toning, paper stains, and antique printing imperfections are preserved in this 1800s stock image. 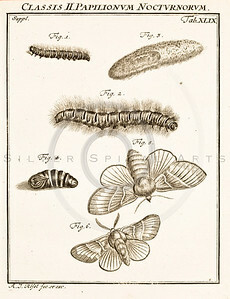 Vintage Illustration of Caterpillars, Flies, and Insects from Histoire Naturelle by Benard Direxit, 1800. 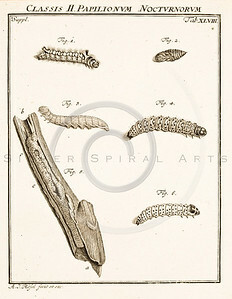 Antique digital download of old print - fly, flies, caterpillar, caterpillars, centipede, natural, nature, insect, bug, animal, nature, encyclopedia, encyclopedic. The natural age-toning, paper stains, and antique printing imperfections are preserved in this 1800s stock image. 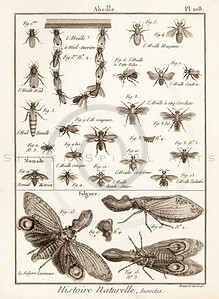 Vintage Illustration of Flies, Moths, Wasps, and Insects from Histoire Naturelle by Benard Direxit, 1800. 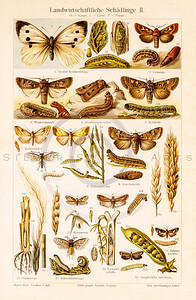 Antique digital download of old print - moth, moths, fly, flies, wasp, wasps, bee, bees, natural, nature, insect, bug, animal, nature, encyclopedia, encyclopedic. The natural age-toning, paper stains, and antique printing imperfections are preserved in this 1800s stock image. 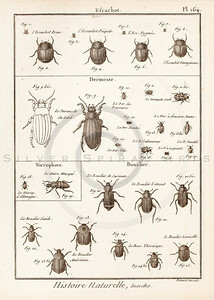 Vintage 1800s Color Illustration of Bugs - DICTIONNAIRE PITTORESQUE D'HISTOIRE NATURELLE by F.E. Guerrin. Beautifully aged 1800s antique animal hand colored copper engraving print from DICTIONNAIRE PITTORESQUE D'HISTOIRE NATURELLE by F.E. Guerrin. The natural patina, age-toning, imperfections, and old paper antiquing of this vintage 19th century illustration are preserved in this image. 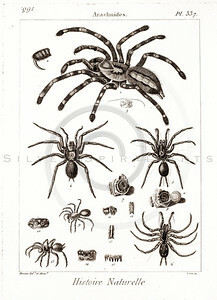 Vintage illustration of Spiders from Guerin Natural History Prints, 1836. 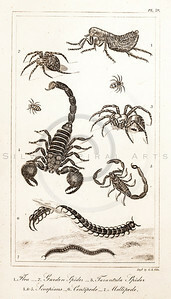 Antique digital download of old print - spider, spiders, insect, bugs, scorpion, animal. The natural age-toning, paper stains, and antique printing imperfections are preserved in this 1800s stock image. 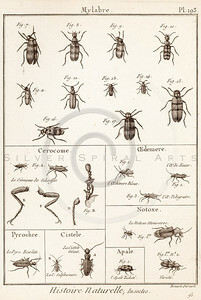 Vintage sepia illustration of insects and bugs from Meyers Konversations Lexikon 1913 Encyclopedia. 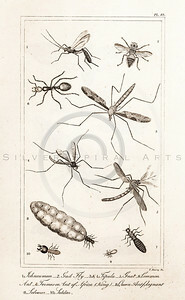 Antique digital download of old print - insect, bugs, fly, spider, animal. The natural age-toning, paper stains, and antique printing imperfections are preserved in this 1900s stock image. 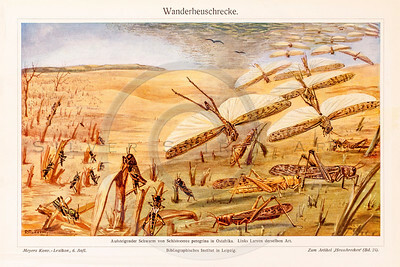 Vintage illustration of Dragonflies and Grasshoppers from Meyers Konversations Lexikon 1913 Encyclopedia. 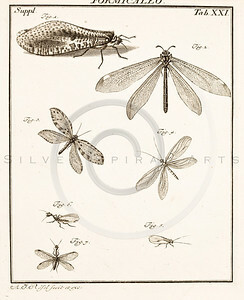 Antique digital download of old print - bug; swarm; plague; insect; nature; plants; dragonfly; grasshopper. The natural age-toning, paper stains, and antique printing imperfections are preserved in this 1900s stock image. 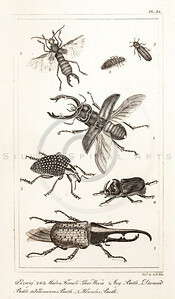 Vintage illustration of Insects and Snail from Guerin Natural History Prints, 1836. 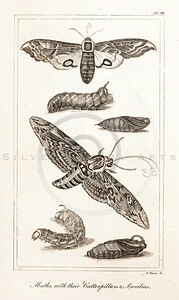 Antique digital download of old print - insect, bug, reptile, snail, slug, shell, animal, wild, nature. The natural age-toning, paper stains, and antique printing imperfections are preserved in this 1800s stock image. 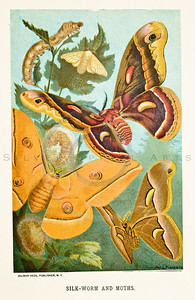 Vintage illustration of Moths, Butterflies, and Catepillars from Meyers Konversations Lexikon 1913 Encyclopedia. Antique digital download of old print - bug; insect; nature; plants; catepillar; moth; butterfly; wings. The natural age-toning, paper stains, and antique printing imperfections are preserved in this 1900s stock image. 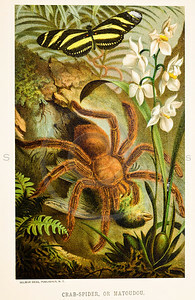 Vintage illustration of Insects on Plant from Meyers Konversations Lexikon 1913 Encyclopedia. 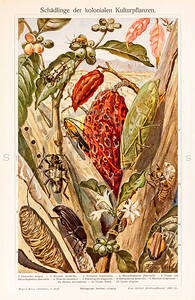 Antique digital download of old print - bug; insect; nature; plants; beetle; cicada; ant. The natural age-toning, paper stains, and antique printing imperfections are preserved in this 1900s stock image. 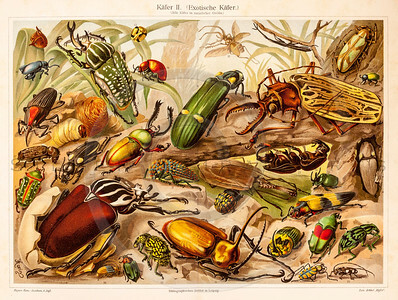 Vintage illustration of Insects and Plants from Meyers Konversations Lexikon 1913 Encyclopedia. 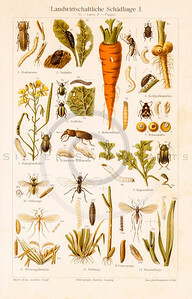 Antique digital download of old print - bug; insect; nature; plants; ant; fly; insects; bugs; carrot; worm. The natural age-toning, paper stains, and antique printing imperfections are preserved in this 1900s stock image. 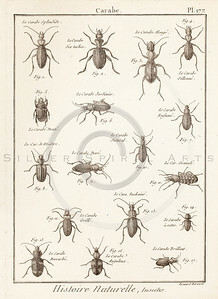 Vintage illustration of Beetles from Meyers Konversations Lexikon 1913 Encyclopedia. 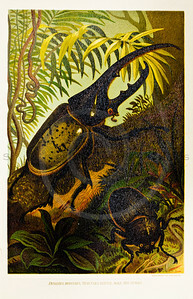 Antique digital download of old print - bug; insect; nature; plants; beetle. The natural age-toning, paper stains, and antique printing imperfections are preserved in this 1900s stock image. 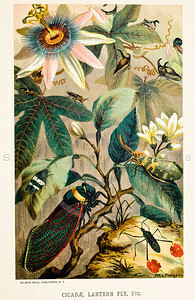 Beautifully aged 1800s antique insect print- Chromolithograph from ANIMATE CREATION by Louis Prang in New York in 1898. The natural patina, age-toning, imperfections, and old paper antiquing of this vintage 19th century illustration are preserved in this image.